The opening day of the season, scheduled for Sunday, 7 April, also sees Wakefield Trinity make their top-flight debut away at Challenge Cup holders Leeds Rhinos. Bradford Bulls host Featherstone in a double-header at Odsal, with the men's side facing Dewsbury on the same day. Castleford Tigers visit York City Knights in the other opening-day match. The eight-team Super League - set for its third season - runs across 14 rounds until the final weekend in September, with the semi-finals on 6 October and the Grand Final at Headingley on 13 October. 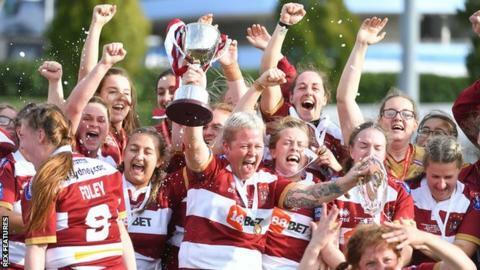 In the women's Championship, men's Super League clubs Warrington Wolves and Huddersfield Giants both field senior women's sides for the first time.